A while ago I was introduced to a Facebook group called Mummy's Gin Fund. As someone who runs a local Facebook group myself, I was fascinated by the growth and the usefulness of the group - and inspired by the lady in charge. I was really proud when Helen agreed to share her story with our readers! Helen is pretty well known for her work with her website and Facebook group and her honesty in this article is so refreshing and her advice so useful and I want you all to read it, and take it on board! There is so much good information here like worry less about your children. Really they do bounce, although a little heartfelt additional point from me on that note is to remember children listen to everything, so do try to keep your chats with friends positive - they have no reason to be concerned about a move unless they hear you endlessly stressing about it with your playground buddies. Also embrace the changes - for you and your life. It's a great opportunity for a little reinvention but don't forget who you are. I've said it before and I'll say it again - if you're a super fashionable, matcha latte drinking, pilates devotee don't assume you're going to morph into a welly wearing, Nescafe loving, pudding baking Mamma. Don't ignore who you are but embrace who you want to be. I'll leave it to Helen; she says it all so much better than me and I'm excited and proud to be hosting her article on our website. Thanks Helen for being with us. I moved out of London in August 2017 after almost 20 years in the capital. I loved it there and, for most of the time, it was a mutually beneficial relationship. I gave it blood, sweat, and tears and it gave me money, opportunities, great friends and fun. Fast forward to four kids later and the relationship started to sour. Suddenly, the things I loved about London when I was 20 were starting to make my life more difficult at 40. My family is from Devon (I was born and raised in the Midlands) and I spent 75% of my youth on the M5 travelling up and down the country. As a young adult, I continued visiting voluntarily and eventually did the mega drive with my friends, boyfriend-turned-husband, and the kids. When I was pregnant with my fourth, I felt a very strong pull to move ‘home’. Despite having never lived here before, Devon has always felt like my true home: I got engaged here and married here. If you cut my veins I bleed Devon. 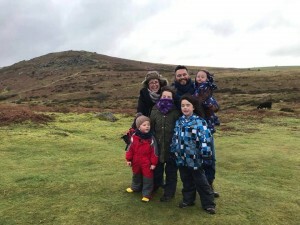 It became increasingly difficult to leave and when I witnessed a very violent crime in London with my toddler and baby, we decided to make the move for good. Just because you were XYZ in London, you don’t have to be the same in your new home. In London, I was very anxious about going out so became increasingly reclusive, often turning down invites that I would’ve loved to have accepted because my anxiety got the better of me. In London, people understandably got out of the habit of inviting me and I often felt left out. But here, no one needs to know that. I haven’t missed anyone’s party and I can start from scratch. I’ve been saying yes to everything. Literally everything. I’ve met some fabulous people and had some really good times. I went for a meal with a group of new friends - something I would’ve found really hard before. Because no one knew about my anxiety, they didn’t ask or fuss and I just got on with it. It was brilliant. You may not want or need a total transformation but starting with a clean sheet is such a great feeling. You hated being the loud one all the time – you get the chance to start again. You hated being the quiet one all the time – no one knows you so you can start again. You can try out a new hairstyle, new makeup, new confidence, new friendships, a new job – a whole new you. If you want to, of course. Moving to a new area is really stressful. There will be periods of doubt, euphoria, sadness, excitement. It’s a roller coaster ride and it’s much better to be strapped in next to someone who is on your side. If your partner suggests something that doesn’t go to plan – give them a break. If you change your mind, ask them to try to understand. It’s vital that you stick together and stay honest and supportive. Moving has to be something you both want. Don’t move somewhere for someone else. There has to be something in it for both of you. My husband and I found it really hard to agree on an area in Devon to move to. We narrowed it down pretty quickly to Sidmouth or Teignmouth: lots of similarities but lots of differences too. I was very firmly Team Sidmouth and loved it. He was very firmly Team Teignmouth. We travelled down and spent time in both places. It’s vital that you try out the place you are moving to as much as possible. As with all types of shopping, what looks good in the window might not fit you at all. My family is near Teignmouth so we knew it pretty well. We stayed in Sidmouth 3 times, visited primary and secondary schools, walked round in the dark and on a Sunday when everything is shut. We spoke to pretty much anyone who came within 100 meters of us. We stalked other families with similarly aged children in parks and playgrounds and on the beach. Everyone we spoke to LOVED Sidmouth. We sat up all night discussing the merits of both places. We drew diagrams and created spreadsheets. We worried and worried and worried. I remained steadfastly Team Sidmouth and we started house hunting. We found a great house to buy but it was really expensive. Throughout, Louis was really open-minded, looking at things with me and trying to see the merits I was pointing out. We kept looking for housing to either rent or buy. We drove down again and stayed in an Air B&B in the area we wanted to live in. We walked to the school we’d chosen. We drove to the supermarket. We rode the local bus. And we worried and worried and worried. It became very clear that we couldn’t get the house that we wanted: rentals just didn’t seem to exist and buying was out of our budget. So, we worried and worried and worried. Eventually, Louis started sending me Rightmove links to property in Teignmouth and the tide started to turn. I woke up in the middle of the night in a panic. We were moving to Devon so we could go ‘home’. We wanted to be close to family. 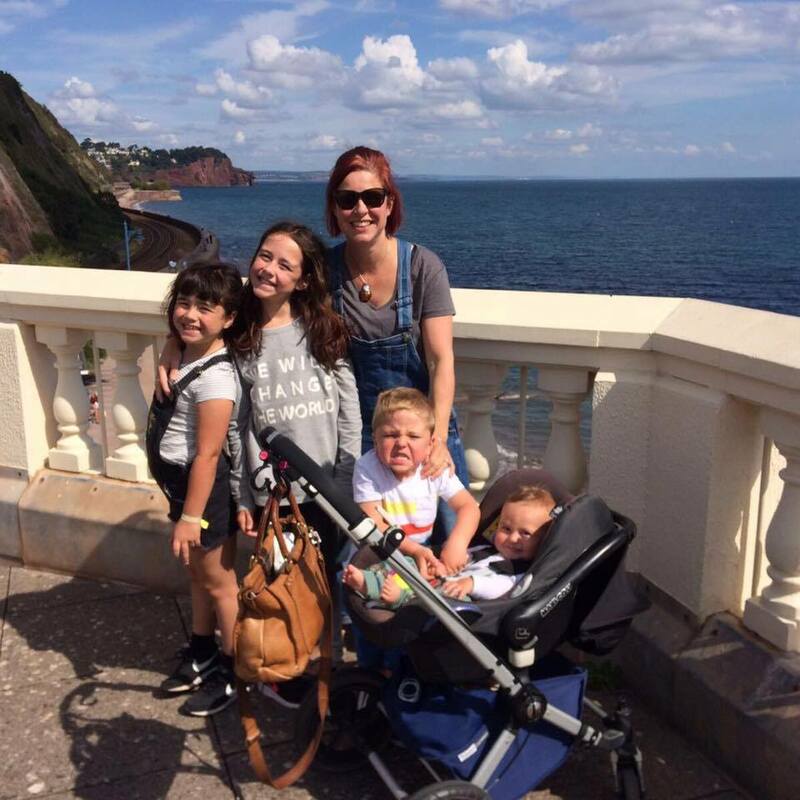 Moving to Sidmouth – as lovely as it is – wouldn’t give us what we actually wanted. We’d been distracted and lost sight of the original vision. We drove down – again – and stayed in Teignmouth. Within about 17 seconds we were ‘home’. Teignmouth was the right area all along but the process of looking at other places (Topsham – lovely but no beach, Exeter – great but we didn’t want a city, Exmouth – amazing beach but we didn’t like the vibe, etc…) was a necessary part of reminding us of what we already knew. Listening to your gut and speaking out if you change your mind is vital. Just because you worked full time in a long-term career in London, it doesn’t mean you have to carry on doing the same thing in your new home. Moving is an amazing opportunity to change your lifestyle. You can learn new skills, start again in a new career or start a business. You don’t have to do the same thing but in a different place. Louis and I were both working full time and barely seeing each other or the kids. Our commutes were killing us and the kids hated being in childcare from 8am – 6.30pm, 5 days a week. We had a newborn and were determined to lead a different life. We could have made changes to our London life but nothing as drastic as our move to Devon allowed us to do. We are now both self-employed and the equity from our London home has given us both 6 months off, as a family. The kids look different – their skin is a different colour and they are walking differently. They appear younger and less stressed and they have dropped so much of their London toughness. It’s been the exact change we were hoping to see. The same can be said for Louis and me too. Having said all that, there are some things that have to happen wherever you live so don’t move and expect everything to be perfect. Your kids will still trash the house, you still have to do the school run, meals don’t cook themselves and you’ll still need money to pay for food. You won’t automatically lose 2 stone or get on better with your partner. You’re moving to another place, not another planet. Our kids (aged 10, 8, 4, 1) have been amazing. They have barely blinked about moving area, school or house. They have settled brilliantly, have loads of friends and haven’t really complained once. They miss their London friends but postcards and FaceTime help with that. They love having mum and dad at home, all the space we now have, the beach and the moors. The eldest, in particular, loved the celebrity status of being ‘the new girl’. They are less keen to move schools again after only a few months but they will get over it quickly. You know your kids best but don’t let them hold you back from doing what’s best for the family. They will be fine. If you’re happy – they will be happy too. You don’t have to get everything right the first time. We signed up for a rental in Teignmouth and drove down AGAIN 10 days before moving day to measure up and pick rooms, finalise the school, etc. As soon as we opened the door of the rental, we were almost floored by the stench of damp. It was uninhabitable. Because there are so many of us (we have 4 kids), we needed a big house and we needed it NOW. The completion date was set, we’d given up our places in our outstanding London school and the removals van was paid for. We ended up phoning every agent in the area and eventually found 2 houses within a half hour radius. One was in Shaldon, a gorgeous local village that we have always loved and where we have holidayed for the last 10 years. Perfect, we thought. We almost didn’t bother going to look at it. 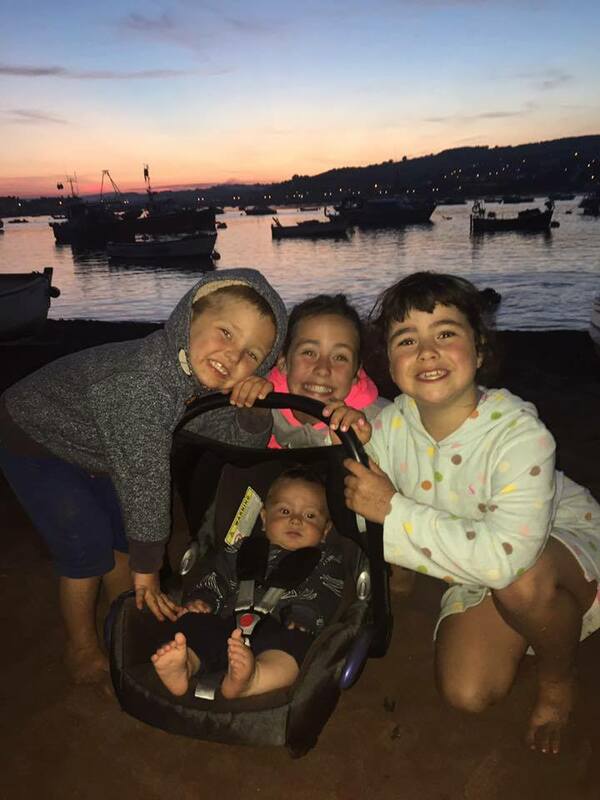 However – when we went to view the house, and look at the school run – we realised that we didn’t want to live in Shaldon after all. 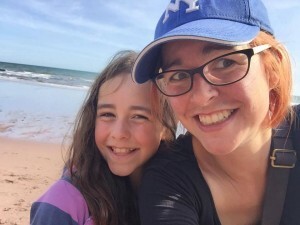 Everything we loved about it for our holidays – it’s small, quaint, has a gorgeous beach, lovely atmosphere – became annoying when we tried to fit in all our day-to-day logistics. The tiny roads make parking a total nightmare; fine if you are leaving your car in one place for a week, but awful if you actually have to go anywhere. There was one other choice, in a nearby village we’d never been to before. We signed up without viewing it. It really was literally our only choice and it only had to be for 6 months anyway. It was 10 minute drive to the school our kids already had places and had its own parking spaces and plenty of rooms. It would do. 6 months later and we love the village so much that we’ve just bought a house here and are in the process of moving our kids to the village school. We go to the village playgroup, use the village Dr, garage and post office and get involved in absolutely everything here. We’ve ended up in a different place, moving to a different school, in a different house to the ones we originally moved for. And it doesn’t matter in the slightest. It’s very unlikely that you are still living in the house you were born in. Things change. You change. You don’t have to get it right first time. You’re allowed to change your mind. There’s no way you could possibly know everything about an area until you move there. Take the first step and worry about the rest later. Be kind to yourself. Guess what? Don’t tell anyone, but there are shops and cafes and supermarkets and schools and jobs and money and diversity and opportunities outside of London too. There hasn’t been a single thing that I’ve thought ‘I really miss X and there’s no equivalent here’ (apart from friends, of course). Yes, the village shop shuts earlier than the 24-hour one in London but I haven’t collapsed from a lack of 3am Mars Bar yet. I can’t get a Mongolian BBQ at 4am in my village, but then I’ve never wanted one in London either. I’m actually finding the streamlining of my life so much better. The garage is closed. Ok, we won’t go there. The shop is shut. Nevermind. There isn’t the huge National Museum to visit. We can go to this local one instead. People outside London enjoy art and culture and theatre and career opportunities as well. Their children go to university, get good jobs, travel the world and don’t hate people from other countries. I promise, London might feel like the whole world sometimes, but it’s just a tiny part of it. 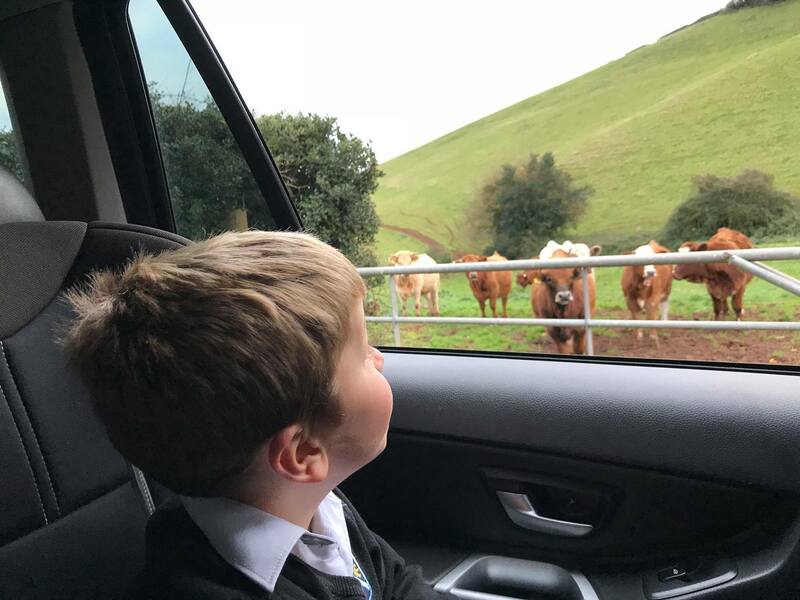 Helen Hamston is a mum of four who deserted the South Circular school run for a stroll through the village past the cows. She can see the sea from her house and the moor from her garden. 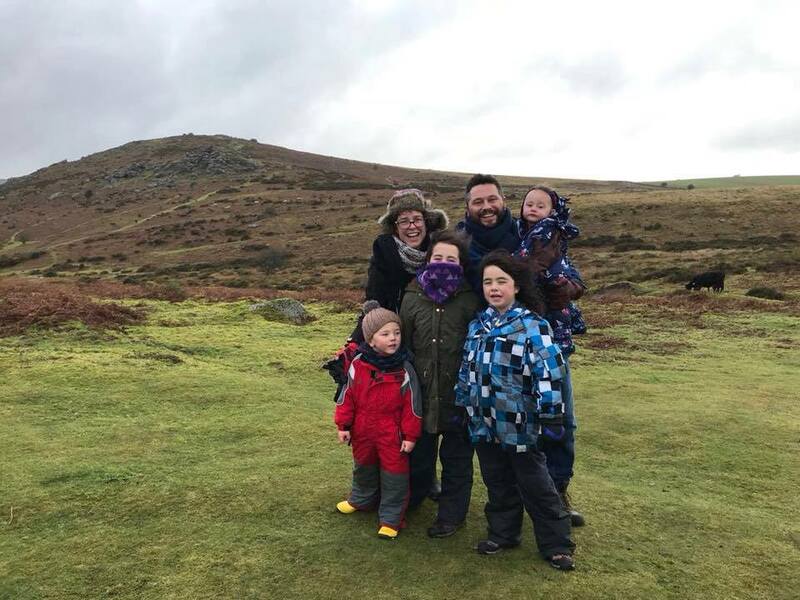 She also runs an online community of parents called Mummy’s Gin Fund: a Facebook group and website where open-minded, non-judgmental, friendly parents cheer-lead, high five and hand-hold each other. Come and join us. For your information, Mummys Gin Fund is hosting a 10 week feature on places to live, for your Life After London. We urge you to have a look - we'd love to hear the feedback on the chosen places and can't wait to join in the chat! The first piece is an article by the founder of Life After London Belinda Aspinall - click here to take a look. Thanks so much for your comment Sarah. We got the first school ‘wrong’ but are so happy with the second. I don’t think there is anything that is really a bad decision – everything happens for a reason. It takes courage to move again – well done! Thanks Laura – we sat up through the night – changing our mind 10000 times – so many times! This is so helpful, and timely.We moved from London to Bournemouth almost two years ago, and did all the research we possibly could, schools, area, etc etc. It’s nice, and the children like their schools, but I really want to move back. I think we’ve made a mistake moving out of London at all. Dorset just doesn’t feel like home, and I don’t think it ever will. The catalyst was actually when I passed my driving test, whilst here. Everyone said things would fall into place once I could drive, I’d be free and independent. Trouble is, I feel worse. There’s nowhere I want to drive to! I had more of a community in London, and I so miss it.I’ve tried to get involved and have met some lovely people, but it’s not the same. A large part of me wants to move back, another part would just like to move somewhere else outside of London that’s not here! But I don’t know where, and am feeling very lost and confused. Good to read that someone else has moved again after taking the initial step, and that children are resilient! So sorry you feel like this Lucy, it sounds so stressful and I can really hear the sense of confusion in your message. Are you able to really put your finger on what it is you don’t like about where you live. What is missing and stopping it feel more like home? What does ‘home’ mean for you? Why did you move in the first place? What are you looking for? The long and short of it is that the world is a massive place with millions of places to live. It’s not surprising that some places suit us more than others. There is no shame in moving again and as I said, children bounce. Maybe you could try writing everything down – we were stuck between Sidmouth and Teignmouth and I thought Sidmouth had everything going for it. When my husband and I sat down and wrote a pros/cons lists Sidmouth only had about 5 positive points for us and we had to turn over the page to fit in all the positives about Teignmouth. Seeing it in black and white really helped make it clear. Best of luck with your decision – it will be tough but it will be worth it to get it right in the end.